This garland features evergreen bristle tips mixed with branch sprigs, holly leaves and red Berry clusters. 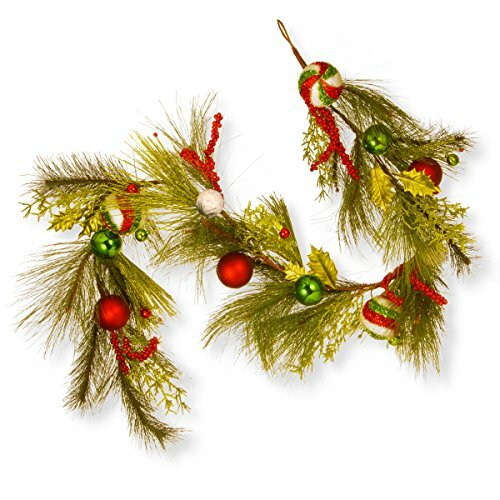 It is trimmed with assorted size ball ornaments in holiday whites, greens and reds with both matte and glossy finishes. Display this decoration over doors, windows, fireplace mantels, fence, or stairway railings, in indoor or covered outdoor locations.